Target Tummy - HYPOXI | Targeted. Effective Slimming, Sculpting & Body Design, South Woodford. WHICH HYPOXI MACHINE WILL I USE TO TARGET TUMMY? 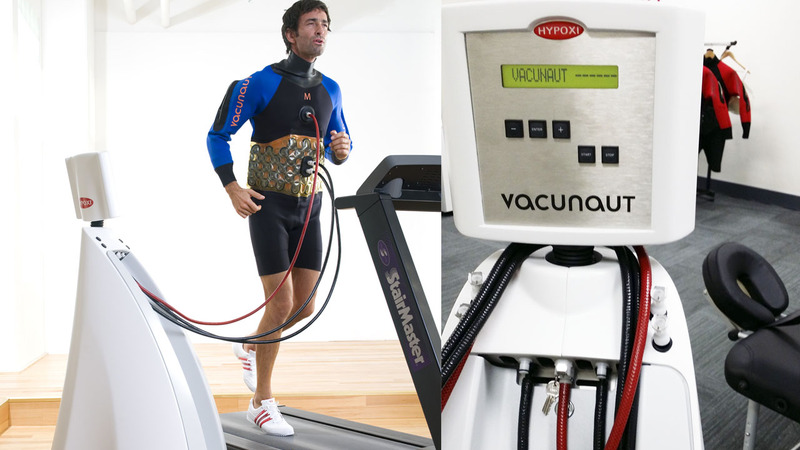 HYPOXI Vacunaut - Which combines fat activation therapy with effective fat burning training. The Vacunaut Pressure Suit applies alternating pressure on the dermis – promoting blood circulation in the stomach and hip region. ​As a result, fatty acids located around the stomach and hip region are more readily metabolised in comparison to other parts of the body. ​At the same time that the therapy is applied, fat burning exercise accelerates the transport of the fatty acids to the muscles – where they are finally consumed. The outcome –completely natural, highly visible and long lasting results. HYPOXI therapy is perfect for men and women, who to slim and sculpt the stomach area, reducing circumference whilst also sculpting and toning through moderate and regular training. There are more than just aesthetic reasons to lose weight for us all – particularly when it comes to the stomach and hip area. Playing an essential role in ensuring physical health, well- being and positive appearance, the stomach embraces and protects the internal organs and spine. HYPOXI is highly effective in execrating the burning abdominal fat. Hypoxi's vacuum-pressure technology activates the burning of fat through increasing blood circulation to the specific problem area. It's network of pressure chambers around the stomach, waist and hips apply alternate high and low pressure on the region. During the low pressure phase, blood is drawn into the fatty tissue, and enriched with fatty acids. During the high-pressure phase, the blood enriched with these fatty acids is pushed out of the problem areas into the bloodstream and then into the purifying organs. HYPOXI has been uniquely designed to apply a combination of effective therapies all at the same time. The amalgamation of fat-burning training + vacuum treatment + compression therapy promotes fat burning exactly where it is required: the stomach and hip region. Lifestyle is of course is a factor of the results you achieve however we will advise and recommend diet, and lifestyle tips.